The 40th Session of the United Nations Human Rights Council is scheduled to be held in Geneva from February 25 to March 22, 2019. This Session assumes greater importance for the victims of the genocidal war in Sri Lanka as the Council is about to debate Sri Lanka’s track record regarding the implementation of Recommendations jointly sponsored by the USA and Sri Lanka in the 30-01-2015 Resolution and 30-04-2017 Resolution. United Nations High Commissioner’s for Human Rights final report and Special Rapporteur’s reports are expected to be submitted to the Council for discussion, debate and a final Resolution on March 22, 2019. 42 months have lapsed since the co-sponsored Resolution was passed which included two years extension as requested by Sri Lanka to allow time to fully implement those Recommendations. This Session will draw Human Rights Organizations, Tamil Human Rights activists, Representatives for the affected Tamil victims, and a Sri Lankan Government’s Delegation which is expected to be led by its Foreign Minister. In addition about twenty side-group meetings are expected to be held by Human Rights Watch, Amnesty International and other human rights groups focusing on accountability and justice to the victimized Tamils. Regarding the quality and quantity of implementation of the 20 or more recommendations of the UNHRC Resolutions, the short and simple answer is simply dismal and deceptive except the passing of three legislations, The Office of the Missing Persons Act, A Reparation Bill and an Act on Involuntary Disappearances. As usual most of them still remain in paper form for the past 42 months without moving an inch forward. Furthermore, The Office of the Missing Persons Act, passed in 2016, lacks the flesh and blood to make it fully effective and fulfilling. It is an Act to protect the Security Forces from any civil or criminal liability and burdens the victims resort to remedies through Courts cumbersome and protracted. As far as the “Involuntary and Enforced Disappearances Act” goes, the same practical difficulties to haul up the culprits are present as presumably it would drag the Security Forces for the alleged disappearances. In the forthcoming UNHRC Sessions, the UN High Commissioner for Human Rights will present her Annual Report concerning Human Rights around the world. Three Reports are expected to be presented concerning Sri Lanka along with the UN High Commissioner’s Report on Sri Lanka on March 20, 2019. A debate or even two debates will follow regarding the contents of Reports before the passing of a Resolution which is expected on March 22. To recap matters, it has to be stated that the earlier Resolutions 30/1 and 30/4 concentrated on ‘Accountability, Justice and Reconciliation’ as Sri Lanka’s commitments and implementation. Regarding accountability, the United Nations, UNHRC and International Community are well aware of the way and how they are treated and enforced in Sri Lanka as mentioned and confirmed by UN Rapporteurs and UN High Commissioner’s Reports with the culture of impunity being part and parcel of Sri Lanka’s Administrative and Judicial System, barring a few occasions where the delivery of justice is however allowed to move at snail’s pace like the cases involving the Security Forces for the massacre of five Tamil students in Trincomalee on January 02, 2006. It is well known that accountability as a concept is a dead letter as the Sri Lankan leaders have openly declared their state policy of impunity for any member of the Security Forces who are hailed as “War Heroes”. The recent promotion of Major General Shavendra de Silva, an alleged war criminal as the Chief-of-Staff of Army is nothing but a slap in the face of the United Nations, UNHRC which declares and confirms the state’s culture of impunity as officially irreversible and entrenched. With this act of open challenge and defiance of the United Nations and UNHRC, it can be stated that this cornerstone of an independent judicial mechanism of a democratic Government has been buried lock, stock and barrel without resurrection. Instead of punishment for the alleged war crimes committed by an Army General, reward and appreciation for the alleged crimes have been showered making accountability a mockery. With Accountability being made irrelevant in Sri Lanka, the principle of justice for the victims suffers the collateral damage, as justice flows from the observance of accountability. With justice also suffering the same demise as accountability, the victims of war are left with no alternative other than to cry and seek out help from third parties, like the United Nations, and/or International Community. UNHRC Resolutions dealing with reconciliation also needed to be mentioned. The history of Reconciliation between the various communities, particularly Sinhalese and Tamils, commenced its journey in 1956 and is still continuing as an insolvable, incurable disease. Efforts of all successive Governments since 1956 were brought down to nil, results being unable to withstand and defeat the evils of racism, communalism and hegemony aided and encouraged by ‘Maha Sanga’ and Buddhist Clergy’s tight hold on the direction of politics in Sri Lanka. As a result the Tamils have been living on hope for the last 70 years, and appear to be destined to live with hope only due to the ongoing State’s agenda of Sinhalisization and Buddhisization set in motion from 1948. Viewing Sri Lanka’s declared defiance and intention to defeat the Recommendations of the UNHRC, a huge burden and responsibility lies on this august Institution to reinforce and assert its credibility, reliance, resolve and strength to the rogue states that trample human rights with no questions asked, like Sri Lanka which has buried the core principle of accountability lock, stock and barrel while upholding impunity. Example: Promotion of alleged war criminal Shavendra de Silva. Sri Lanka’s notable refusals and disregards of UNHRC and the European Union can be seen from the breach of promises to repeal the draconian Prevention of Terrorism Act (PTA) and initiation of international or even internal judicial mechanisms to investigate the alleged war crimes. Various promises made by the President and Prime Minister also remain dead and frozen like the release of Tamil political prisoners, complete release of civilian lands to owners before the end of year 2017, as promised by the President in October 2018 during his visit to the North. 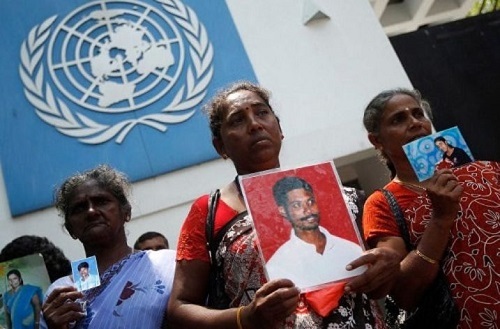 It is the fervent hope of all the victims in Sri Lanka that the UNHRC will rise to the occasion in the forthcoming Sessions in March 2019 and pass a Resolution fulfilling the expectations and dispense the much awaited redress and remedies to the traumatized victims of war crimes. It is also seriously hoped that the UNHRC’S Resolution is followed with further action, possibly through the United Nations and/or UN Security Council, to translate the Resolution into active and meaningful steps like UN sponsored investigations and a referral to the International Criminal Court by the Security Council. The UN Human Rights Council, instead of giving any further extension, must focus on passing a provision giving a time limit to implement the recommendations with provisions and calling for punitive measures like economic/political or diplomatic sanctions in the event of non-compliance. A further extension will be a gift for Sri Lanka which it will wholeheartedly welcome with relish, as this would provide the leeway to free from the tightening hold of the UNHRC in the March 2019 Sessions and enabling to stultify the Recommendations. It is hoped the UNHRC and United Nations will live up to their tasks and standings to uphold accountability and justice while initiating steps for Reconciliation as mandated in the Resolutions 30/1 and 30/4. Yasmin Sooka, Executive Director of International Truth and Justice Project [ITJP] commented “Appointing Silva is a shocking new low for Sri Lanka.” Similar condemnations were also made by Amnesty International, Human Rights Watch and several other Human Rights groups. What is needed is a UNHRC Resolution with clear bench marks, time-frame, UN monitoring system and UN sponsored international investigation and a Security Council Resolution to refer Sri Lanka to the International Criminal Court. In this respect it is the hope of all human rights groups, countries and affected victims that the USA will take the lead initiative with the support of other member countries to realize the above steps as a warning and lesson to member countries who indulge in violations of human rights with impunity. Justice delayed is justice denied and any allowance of delays or extensions to the fulfillment of commitments if granted to Sri Lanka will surely defeat the purposes and existence of UNHRC, UN and Security Council while belittling their stature as guardians and upholders of human rights according to the Charters and specific provisions of the United Nations, UNHRC and Security Council. It has to be stated that Sri Lanka as usual will carry out few cosmetic measures before the UNHRC Sessions like the release of a few acres of land as crumbs. However for the victims it is “Enough is enough” and what they want is no more dilly-dallying and hoodwinking the Tamils, their leaders including the UN, UNHRC and International Community. When Accountability is denied, Justice and Reconciliation also die along with it. Nakeeran! Don't forget the fact GG. Ponnambalam asked for 50% representation for the Tamils and other minorities. This was misinterpreted as asking 50% rep. for the Tamils only. Tamils too ridiculed it. But it appears that GG was not sincere and it died a natural death. Tamils were living in the mistaken belief that their status will continue even after" freedom" despite signs of treachery being felt by the the Tamil leaders from 1920. Tamils always try to close the stable after the horses have bolted. 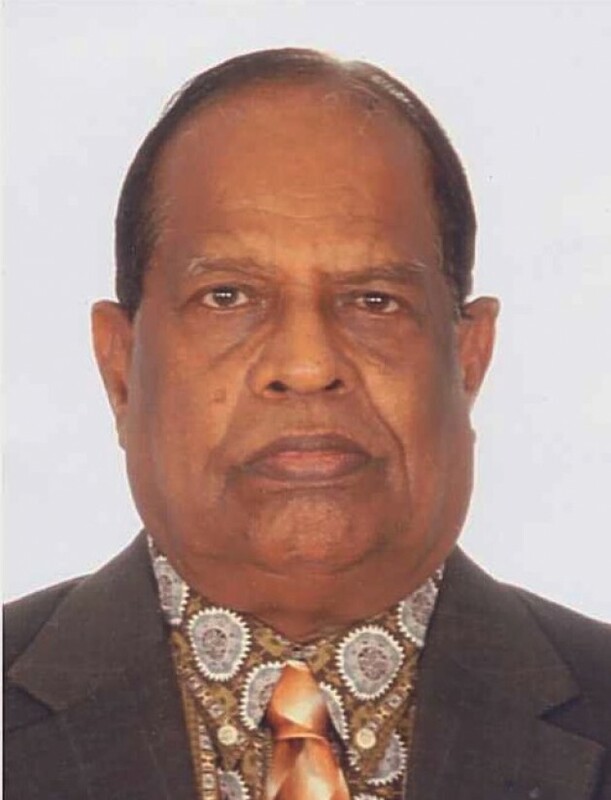 We respect Nakkeeran's views: British colonialism that merged nations for easy administration would have known and expected from the immaturity of local leaders to separate nations as it were prior to Western colonialism to give each race/nation their sovereignty than leaving them as merged to allow majority races' chauvinism, racism, hate against minorities and unrest. Further one of the leading Colonial officials said that Indians were backward, not capable, cannot rule with discipline and his words are golden mantra when one looks at India today that is corrupt, everyone struggles for a fair society, equality, Justice and accountability. Tamil Leaders during the British colonial rulers were selfish, failed to assess Sinhala leaders cruel mindset and it was their failure not to demand for separate Eelam from the British that would have avoided all this bloodshed, war crimes and loss of everything. TNA leadership is making same mistakes as army continues to occupy Tamils' lands, political prisoners still in detention, no investigation on disappeared and surrendered POWs, armed forces continue to intimidate public, human rights activists and Journalists, attack them at will with impunity, filming civilian activities, interfere in civil administration especially in Girls schools as these armed forces are accused of committing sexual abuses while on UN duty and against Tamils. As Leaders they must explore all potential opportunities to struggle, lead their people and not to trust leaders who continue to fail Tamils' struggle. Alleged collaborators to genocide certainly continue to impliedly support war criminal Sri Lanka as their hands are soaked with innocent blood and will try to hide it. For example, Late Lee Kuan Yew did not allow foreign leaders to control or use influence in Singapore as he led Singapore as a nations for Singaporeans and their interest. Strong, honest with integrity and eminent leaders make a big difference in end result. Currently, TNA lacks strong, honest, strong decision making capabilities with outstanding communication skills leaders to lead. Most great Tamils are not interested in politics; Hon. CV Wigneswaran is well admired by the Tamils and Prof K Guruparan can be a strong leader if he wants to be in politics. Nakkeran "Only idiots "will blame the TNA for supporting Ranil Wickremesinghe and his party. Only idiots would use language like this. "There is progress in the release of private lands occupied by the armed forces, but the process is slow. This is what happens when you lose the war! The winner draws the boundaries and writes the history. " Sinhalisation continues. ITAK started Sri protest. What are they doing now to stop Sinhalisation? "It is rubbish to claim the army is involved in drug smuggling. It is not the army it is Tamils who are in this business of smuggling. Two days ago the Police nabbed two youths connected to local politicos at Point Pedro with 72 Ks of Kerala ganja." How did ganja ended in Pt Pedro? What is the armed forces are doing there? Why could not the prevent? We should stop always blaming others for our misfortunes and follies. It is high time or change the name of the party. ITAK and FP are meaning less. Don't blame the British for not restoring the status quo ante. The Tamils did not ask for independence or even federalism. When the Kandyan League asked for a federal union before the Donoughmore Commission and the Soulbury Commission Tamil did not give a hand to the Kandyan Sinhalese who demanded 3 (Kandyan Sinhalese, Low country Sinhalese and Tamils. UNHRC is not a court of justice. It is a voluntary body consisting of sovereign nations. It has no punitive powers. Only the UN Security Council has such powers. But, that is a long shot. There is no denying the fact that the Western countries, notably the USA, have their own geopolitical interests. Mind you Ceylon is situated in a strategic position and it is the gateway to the east. Only idiots will blame the TNA for supporting Ranil Wickremesinghe and his party. We must defend democracy in our own interests. With all its faults the present government has created space for democratic protest and discourse. Not a single journalist/common man/youths have been white vanned since 2015. There is progress in the release of private lands occupied by the armed forces, but the process is slow. This is what happens when you lose the war! The winner draws the boundaries and writes the history. It is rubbish to claim the army is involved in drug smuggling. It is not the army it is Tamils who are in this business of smuggling. Two days ago the Police nabbed two youths connected to local politicos at Point Pedro with 72 Ks of Kerala ganja. We should stop always blaming others for our misfortunes and follies. The wheels of justice move slowly so the UNO. There are more than 100 Resolutions against Israel for which it does not respond. It quit the UNHRC long time ago. Now the USA has quit blaming the UNHRC of discriminating Israel! Fortunately for us, the USA has said its policy on Sri Lanka will not change! The Western world cannot be trusted. They are only concerned about themselves. Further they are also backed by Sampanthar and Sumanthiran who have been caught up in the tentacles of Ranil on their own free will. If you analyse, Britain is the cause of our problem by not restoring the Status quo of the Tamils before they left our shores. As long as Srilankan government (Ranil's) is in power the west will not like to upset the apple cart and the support given by Sam/Sum will be an impetus to maintain the prevailing status , thus justifying their stand . Unless there is a strong lobby against the Srlankan government's sweet talks and pleadings, things will go on as usual. Excellent article exposing the delaying tactics of the Government. It is an eye-opener for the UN, UNHRC and the International Community to understand how they were hoodwinked so far by giving empty promises, pledges etc. Each and every time GOSL comes out with well planned excuses and false statements to get extension over and over again. In fact the GOSL is unwilling to implement the Resolutions and want to protect the war criminals who are mostly from the security forces and some political leaders. This time in March 2019 they will have a very hard time. They cannot hoodwink the UN UNHRC and the International Community anymore. Thanks for the excellent article with in-depth information and details. International community credibility at stake as Sri Lanka is a small nation that relies on foreign aid for it's survival, leaders are highly corrupt and alleged war criminals against all it's citizens, Journalists, dissidents, human rights activists for over seven decades and continue their terror as no challenge by UN, International Criminal Court and Powerful nations on accountability and Justice. British colonial rulers failure to decolonize Eelam from the Sri Lanka as Eelam was merged by the Colonial rulers. Tamils had their own nation and even the last King of Kandy, a Sinhala Kingdom was a Tamil who signed documents to the British in Tamils. Sinhala Buddhist state terrorism started since the end of British colonialism in 1948 and not in the 1970s. Ambalavanar Sivanandan , former Director of Race Relations in the UK fled Sri Lanka to the UK in 1958 after race riots as he strongly believed that Sri Lanka will never be a democratic nation. Most Burghers too fled Sri Lanka to Australia, Canada and other countries as there was no hope of peace due to Buddhist Monks become racially attacking minorities, sexually abusing minority women and children and instead of enforcing Law and order, Police, Army and forces have been involved in crimes against humanity. Sri Lanka forces sexually abused women and children while on UN Peace Keeping operations is a solid evidence of their criminal behavior with impunity. Sinhala values are full of violence, sexual abuses, looting and criminal activities and Sinhala Buddhist Monks are the worst abusers and criminals. Tamils are now living in many countries peacefully, progressing well academically, politically, professionally. Eelam Tamils are praised for building Singapore and great leaders in Singapore. UN should intervene militarily and investigate all crimes since 1948 with foreign Judges as over 70 Years of Sinhala Buddhist terrorism against Tamils and these beasts are only living in Sri Lanka while Tamils are living all over the world in peace, contributing to the development of those nations, progressing academically, professionally and also politically. No democratic nation will have diplomatic relation with Sri Lanka or have a trade reactions with its companies and Government. Monks illegally occupy and put an new Buddhist temples in Tamils’ lands, President appoints an alleged war criminal to a key position, not responded or started an investigation of forcibly disappeared Tamils, Army is allegedly marketing and dealing with Drugs, running hotels and businesses, Army that is accused of sexual abuses during UN assignments are in Schools especially Girls’ School and interfering in civil administration and one may wonder whether Sri Lanka is run by the army and not a civil administration? It's time to deliver Justice without further delay!